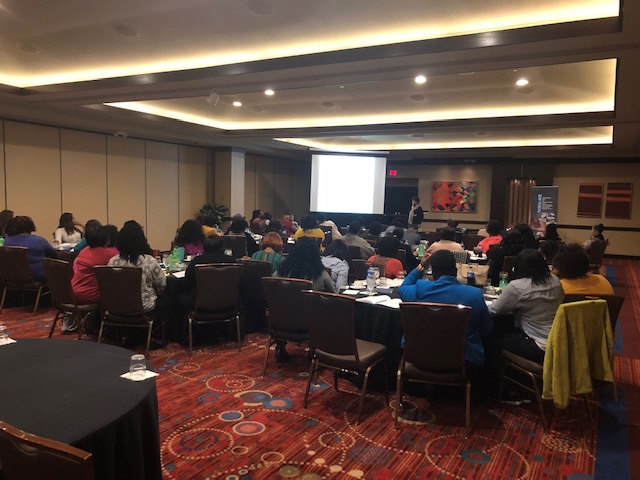 HCHRA Project Head Start held its final In-Service staff training on March 11, 2019 at the Jackson Marriott Hotel. 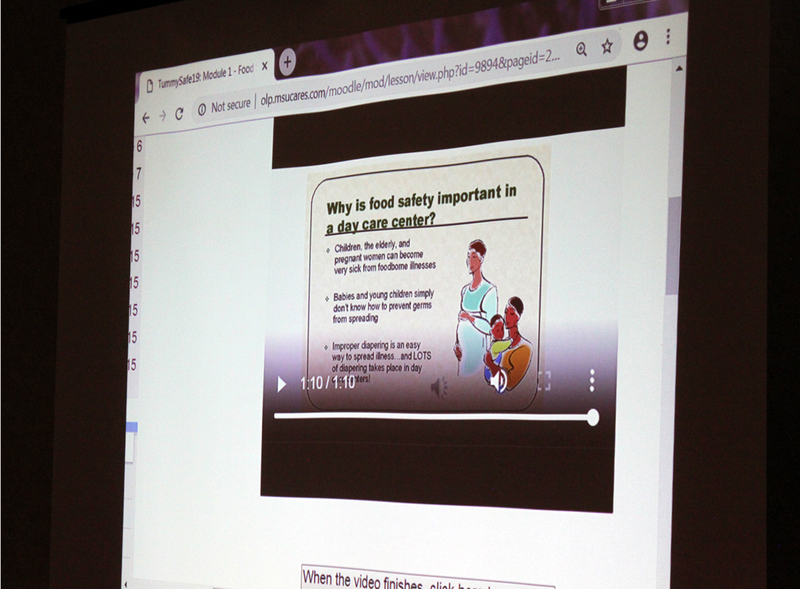 Participants received valuable information on topics such as effective teaching strategies, school readiness, health and safety, nutrition, leadership, and food safety. 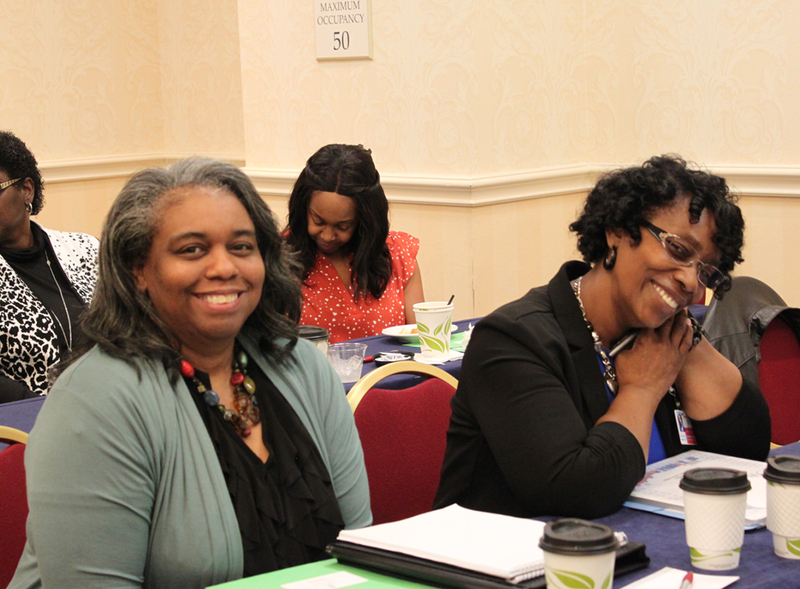 Head Start teachers Patrice Carr, Willie Smith and LaToya Turner attended the Promoting School Readiness workshop. They all agreed that the workshop was very beneficial and provided strategies they can use so that Head Start students will be ready for kindergarten and beyond. 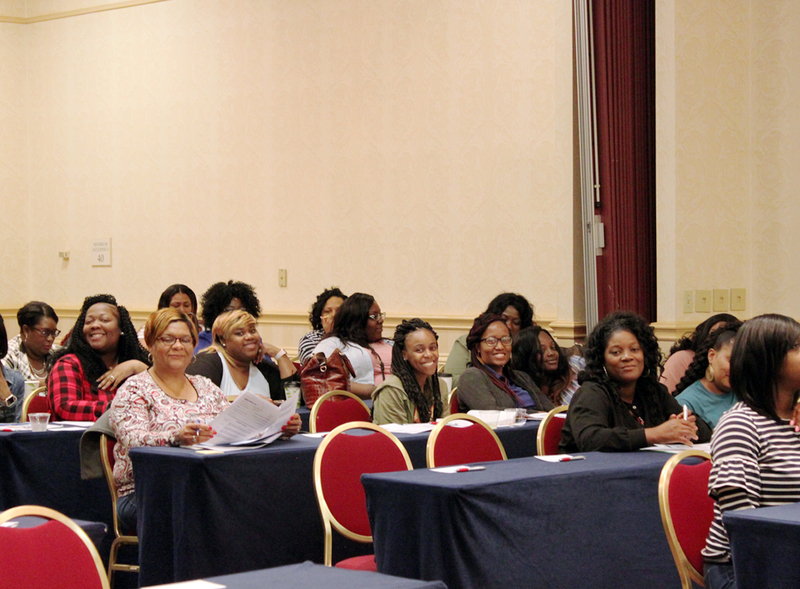 In-service training workshop sessions ensure that staff is fortified with tools to provide support and the best learning environment for children and families who are a part of the Head Start program at HCHRA. When Office of Head Start federal officials inspected Hinds County Human Resource Agency’s (HCHRA) Head Start program five years ago, CLASS observations were just beginning. Compared to other Head Start programs, HCHRA fared below average in two of three categories and unfortunately, fell in the bottom 10% of one category. The classroom staff monitoring began in 2012 with an observational tool called CLASS, which stands for Classroom Assessment Scoring System and is devised to measure teaching quality. Developed at the University of Virginia, it quantifies three aspects of a teacher’s performance: instructional support, emotional support and classroom organization. These three domains have ten dimensions. In essence, it gives the federal government a report card on teacher quality in each of its nearly 1,600 Head Start programs. After getting the report in 2014 federal review, HCHRA immediately began to redirect its operations to produce better outcomes. 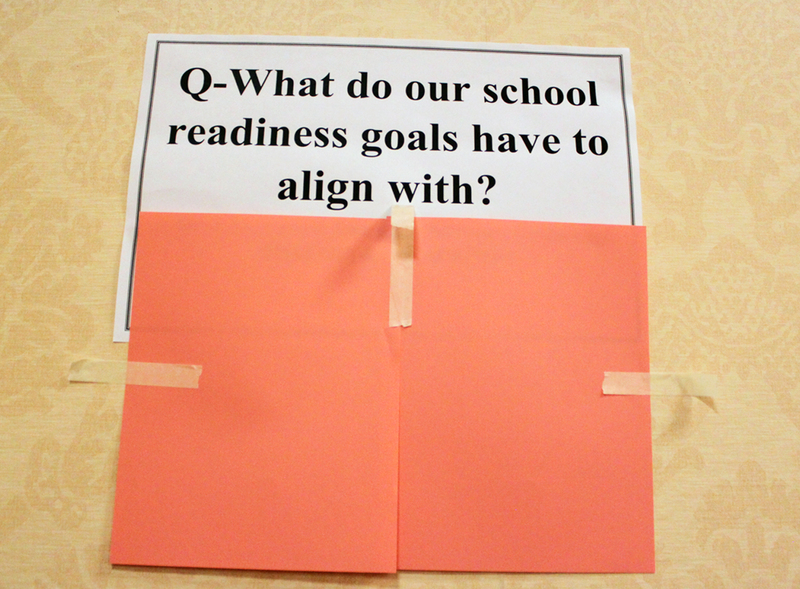 They first realigned their student assessment tools with the curriculum to produce more accurate data. Once they collected this data, they were better equipped to understand their results and use limited resources more wisely. HCHRA also invested a significant amount of time and resources in providing training and technical assistance to its staff. 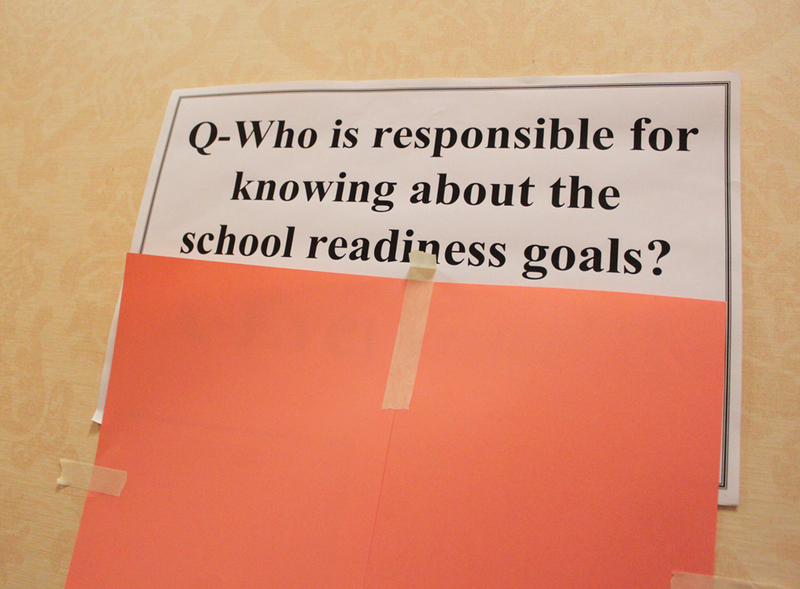 They insured that all education specialists and center administrators (principals) were CLASS certified. 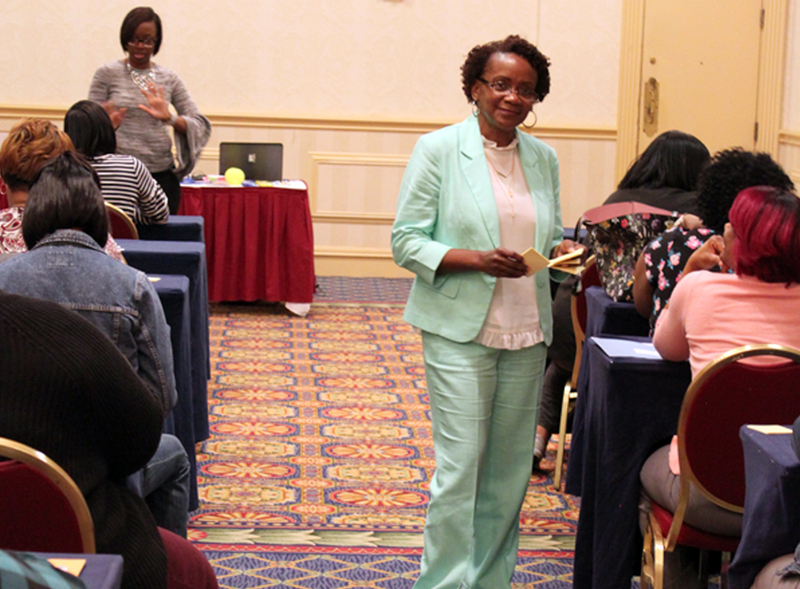 They trained and retrained staff on classroom management tools and even made the financial investment to have 34 teachers attend training to become CLASS certified so they could help their peers along the way. HCHRA’s investments have paid off in a big way. HCHRA was once again inspected by the Office of Head Start in January 2019 using the Classroom Assessment Scoring System and it posted huge gains. Each CLASS dimension uses a 7 point scale. In just 5 years’ time, HCHRA was scored from a quarter point all the way to three quarter points higher than they did during their last review. This growth moved all ten dimensions to within the national average standard. 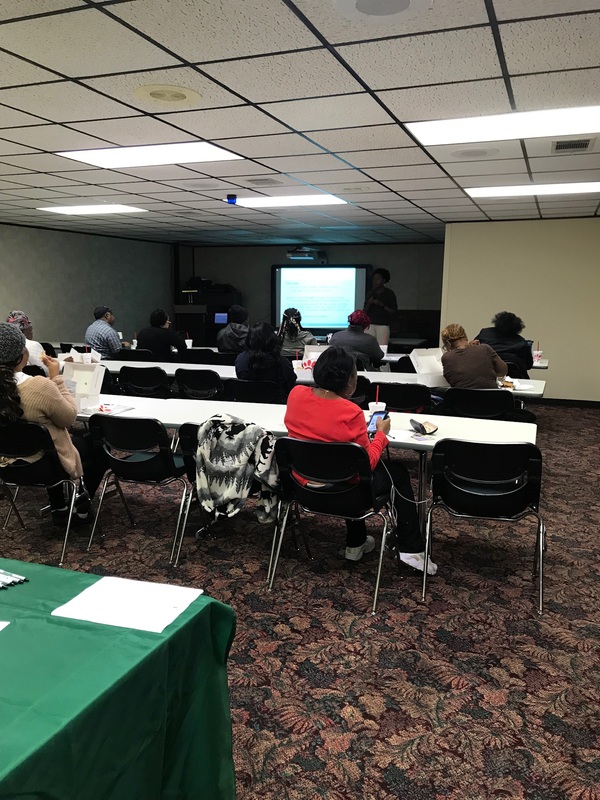 Hinds County Human Resource Agency (HCHRA) partnered with Entergy Mississippi to provide tax preparation services during Super Tax Day, which was held on Saturday, February 9th. 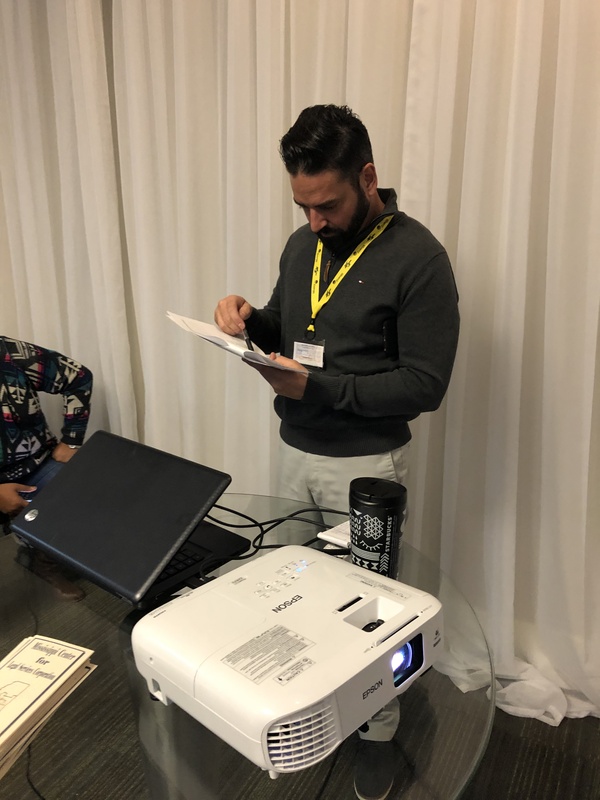 Citizens who earned $55,000 or less in 2018, were able to get their tax returns prepared at no cost by volunteers who were trained and certified by the IRS. Customers who agreed to save part of their total refund at Super Tax Day event had an opportunity to win up to $50 in cash through a scratch off card promotion sponsored by Entergy, and their names were entered into a drawing for a $10,000 grand prize from the national Save Your Refund program. The response to Super Tax Day was tremendous. HCHRA reported that 71 customers had their tax returns completed on that day and the agency was able to accommodate 27 more the following week at their Central Office location. Income tax refunds for those customers totaled up to $286,596. 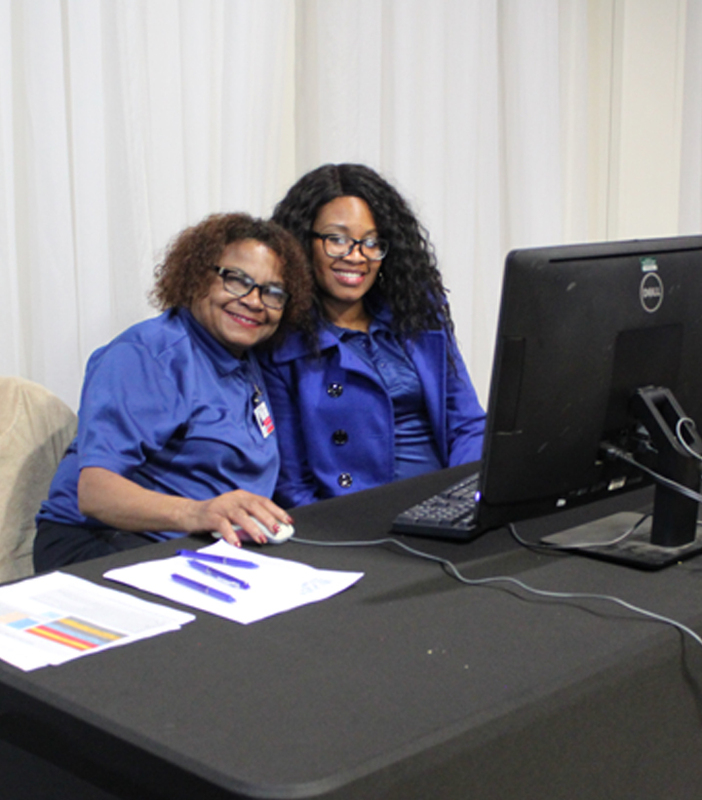 Although, HCHRA has wrapped up its volunteer tax preparation services this year, anyone interested in receiving the services can call 2-1-1 for a list of other organizations that can provide the same great service at no cost. 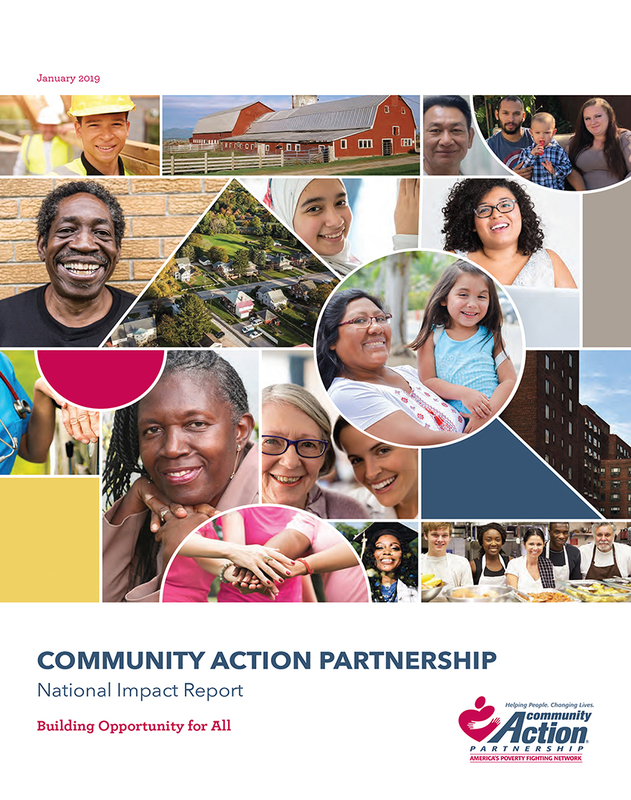 On January 24, 2019, the National Community Action Partnership released the first National Community Action Impact Report: Building Opportunities for All. This unique and comprehensive report looks at how Community Action Agencies across the country impact the lives of 15 million people each year, creating pathways to prosperity. The Community Action Network is a robust local force of 1,000 local Community Action Agencies, reaching children and families in 99 percent of all U.S. counties. 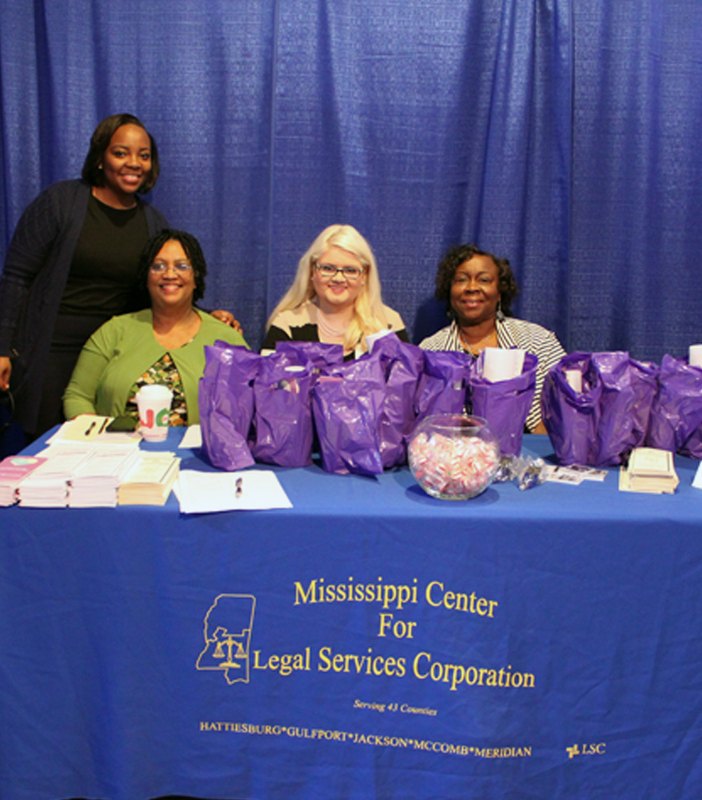 Hinds County Human Resource Agency (HCHRA), whose main office is located in Jackson, Mississippi and has service locations throughout Hinds County, Mississippi, is a member of the Community Action Network. 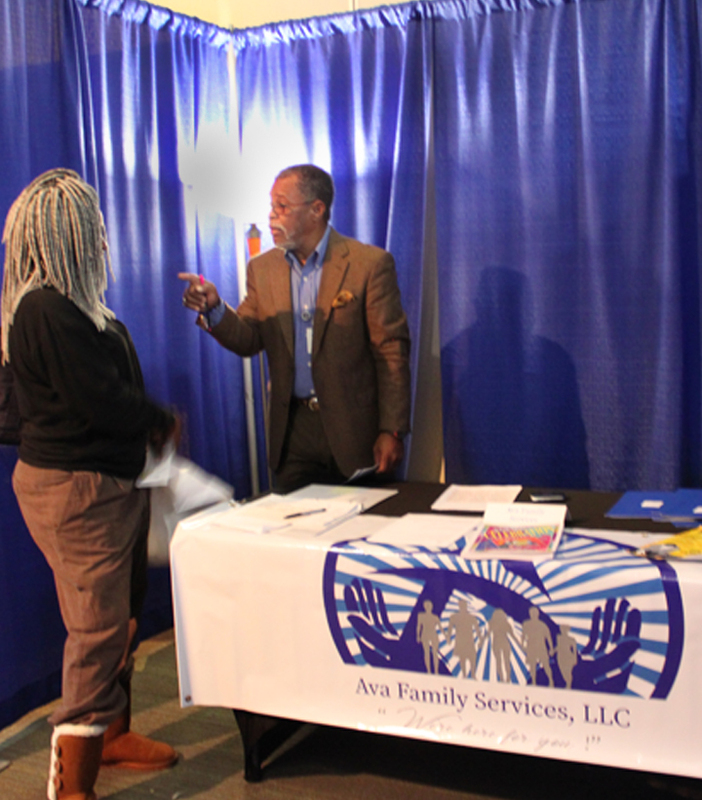 Community Action Agencies connect families to opportunities that help them succeed and promote community-wide solutions to seemingly stubborn challenges in cities, suburban, and rural communities. Spotlight stories throughout the report highlight successful initiatives across America relating to jobs, asset building, health and well-being, community development, children and families, and housing. HCHRA hopes that sharing this report will bring communities together to effectively address the causes and conditions of poverty and provide opportunities for success. To access the report, visit www.communityactionpartnership.com/impactreport/. Christmas is now just a memory and the 2019 New Year has begun. 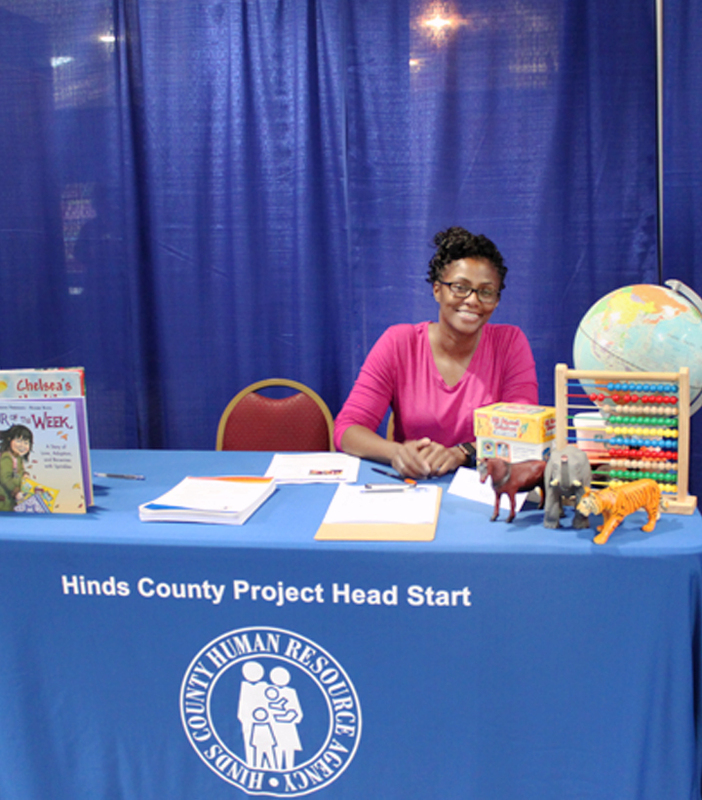 Hinds County Human Resource Agency (HCHRA) is off to a great start and has accomplished much upon its return to the second half of the 2018-2019 school year to help its Head Start families be successful. 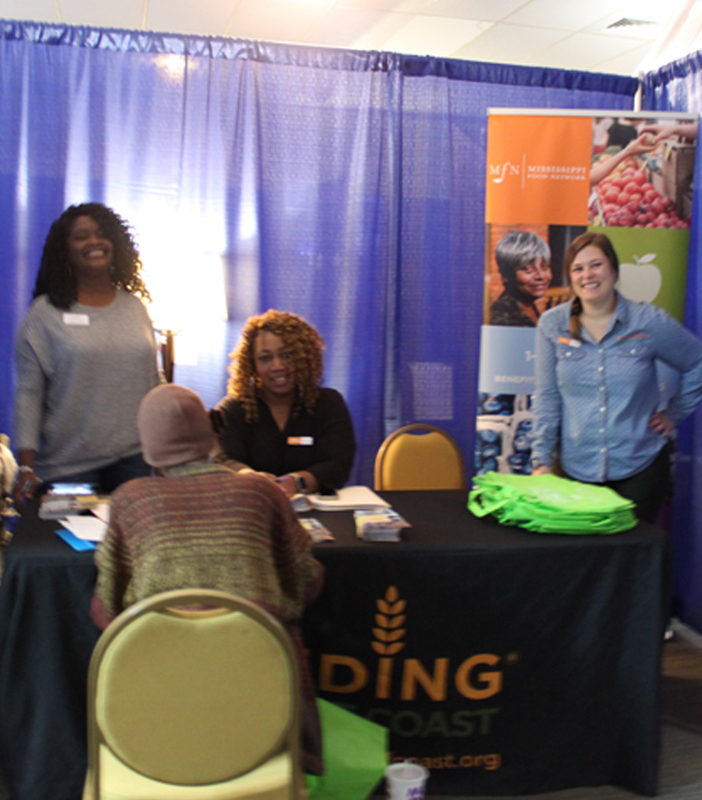 At the beginning of January, HCHRA organized Project SOAR, a services, opportunities, assistance, and resource fair, to provide families with utility payment assistance through its Low-Income Home Energy Assistance Program. While the event was open to the public, HCHRA went a step further to offer the same services to Head Start families during a scheduled appointment at their child’s Head Start center. 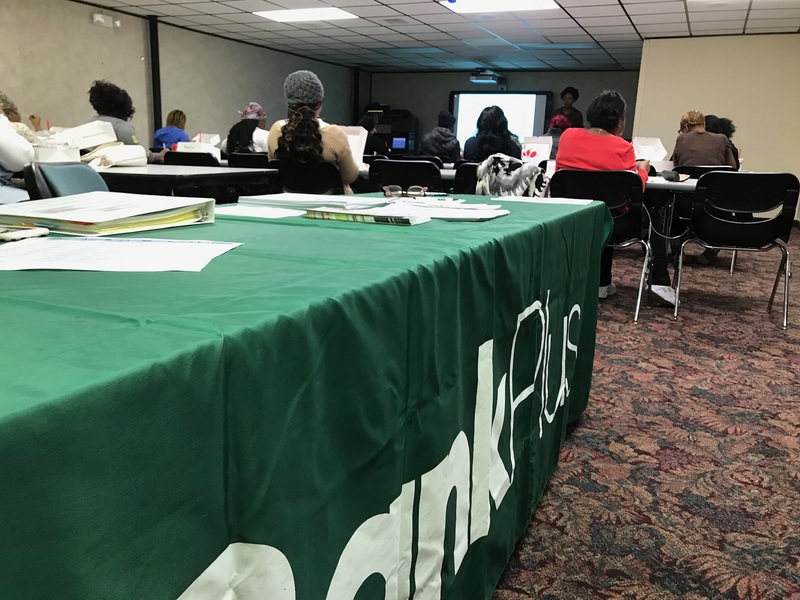 Later in January, HCHRA partnered with BankPlus to offer the CreditPlus financial literacy program. CreditPlus provides clients with a small-dollar, short-term loan as an alternative to expensive payday loans. Clients who completed the program got the opportunity to join a mainstream banking institution, establish a savings plan, re-establish their credit, and move forward with information to make wiser financial decisions. Families who did not get a chance to participate in January, can sign up for classes to be held in near future. 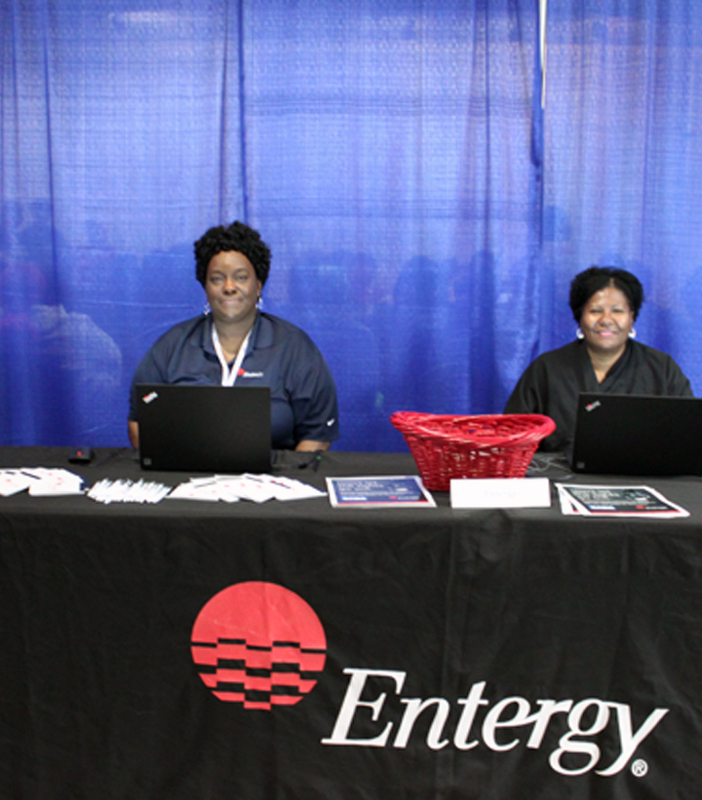 Beginning February 4th, the agency partnered with Entergy Mississippi to provide tax services to families at absolutely no cost. Head Start parents can contact the family opportunities advisor at their child’s Head Start center to schedule an appointment to have their taxes prepared by a certified professional through the Volunteer Income Tax Assistance Program. Parents who agree to save part of their total refund will be entered into a drawing for a $10,000 grand prize from the national Save Your Refund program. Not only is there a chance to win a large cash prize, but parents who normally pay to have their taxes done can now save hundreds of dollars and keep their entire refund by utilizing the VITA program presented by HCHRA. For more information on HCHRA, its Head Start program, and the services available to Head Start families, click here. 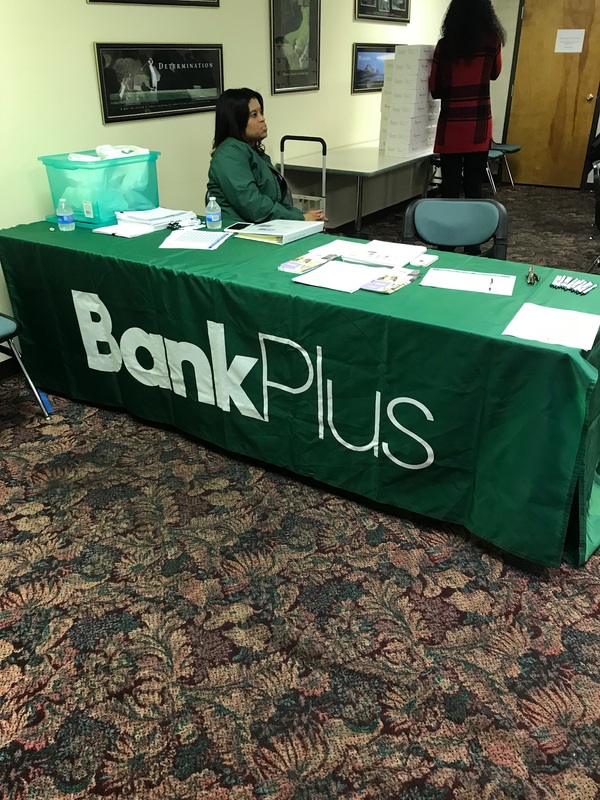 On January 22, 2019, Hinds County Human Resource Agency (HCHRA) partnered with BankPlus to present CreditPlus, a financial literacy program to help agency clients explore mainstream banking options and improve their credit scores. 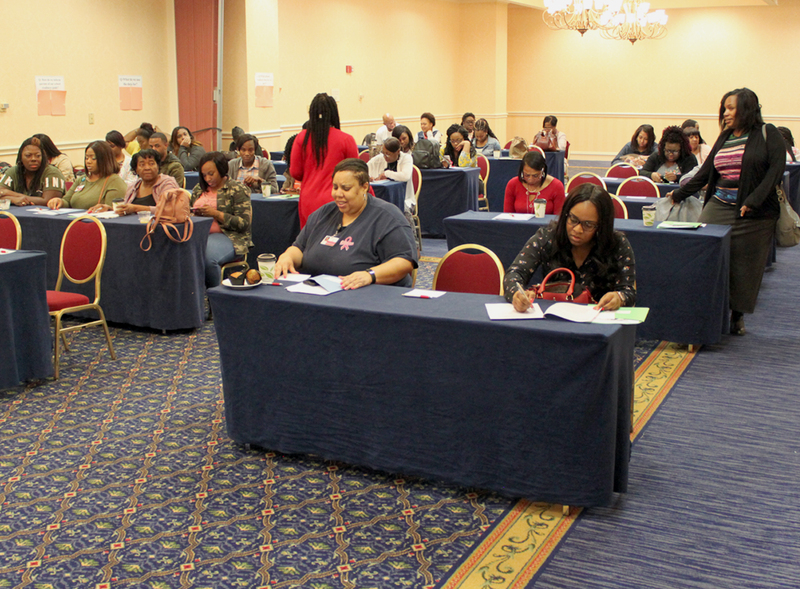 HCHRA clients were required to attend the CreditPlus seminar to receive a Certificate of Completion. They could then establish a CreditPlus checking and savings account with BankPlus and would no longer be forced to use expensive pay day lending or check cashing services, enabling them to save a significant amount of their household income. CreditPlus seminars are held on a monthly basis. If you are an HCHRA customer and would like to attend a class in the future, call the Department of Family Opportunities at (601) 923-3930. We will make sure you know about every possible opportunity that’s available to you, and we’ll help make sure you’re on the right track to meet your financial goals. You may also visit www.BankPlus.net/CreditPlus to sign up for a seminar near you. Hinds County Human Resource Agency is pleased to announce the new officers of its Board of Directors. 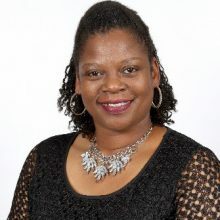 On January 16, 2019, the HCHRA Board of Directors elected Chera Harper to serve a second consecutive term as board chairman. Harper first became affiliated with HCHRA when her child was enrolled in the agency’s Head Start program at the St. Thomas Head Start Center. 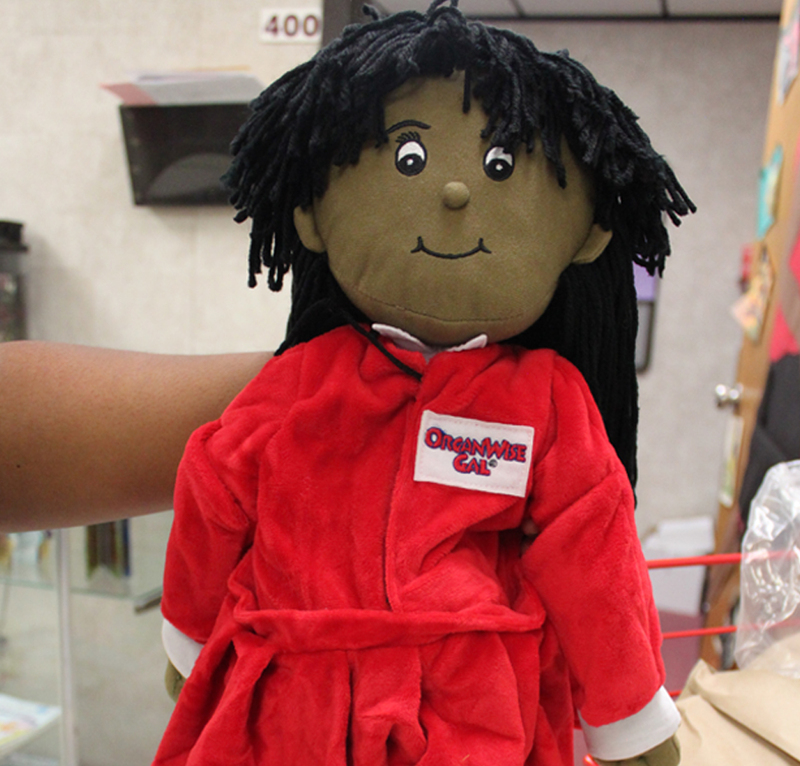 From 2014 to 2014, she served as Chairman of the Head Start Policy Council. 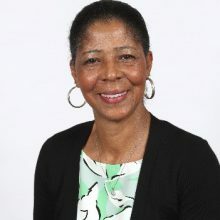 In 2015, she was selected to serve on the Board of Directors as a representative of the private sector and was also elected to serve as Secretary of the Board of Directors. 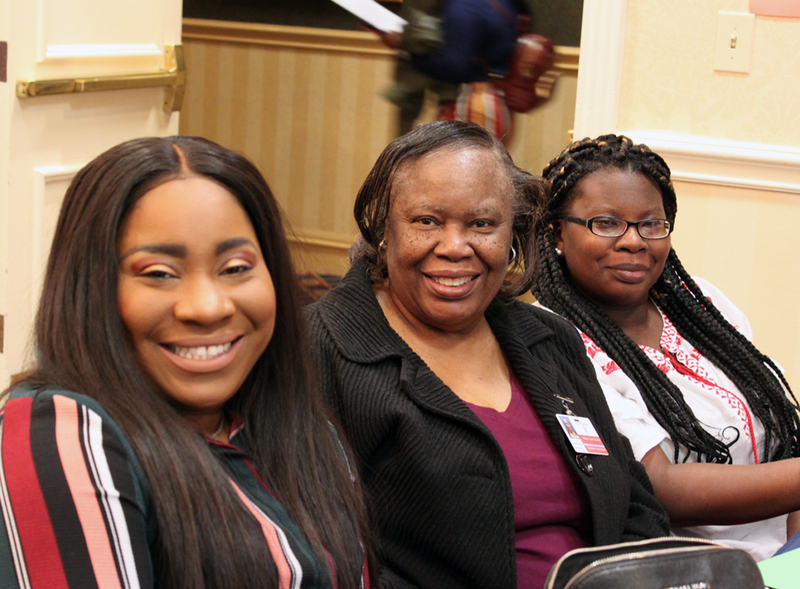 Marshand Crisler was elected Vice Chairman of the Board; Veniti Williams was elected Secretary; and Karla Turner-Bailey was elected Assistant Secretary. 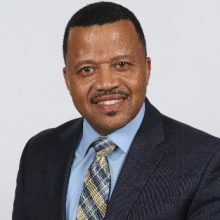 Crisler, who has over 22 years of leadership experience in the military, education and local government, is a retired Major of the U.S. Air Force and also served 20 years in the field of law enforcement. He is the owner of Crisler Clear Consulting and was elected by residents in his Supervisory District to represent the poor sector (District III). 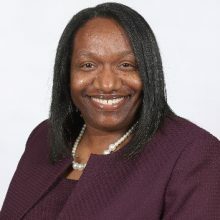 Williams is a budget analyst for Jackson Public Schools and was selected by her District Supervisor to serve on the Board of Directors to represent the public sector (District III). This is her second term as Secretary. Turner-Bailey, who recently earned her doctoral degree in agricultural extension and education, is an agricultural education teacher. Turner-Bailey was also selected by her District Supervisor to represent the public sector (District V). 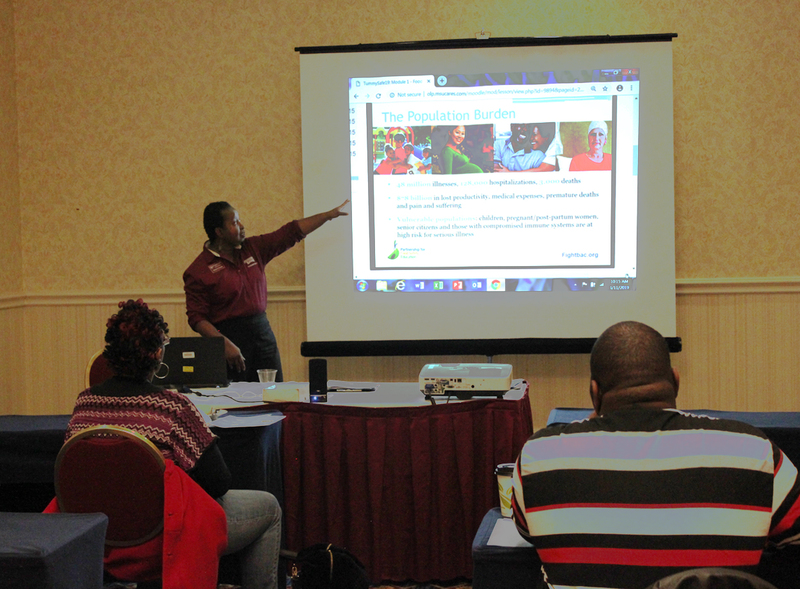 HCHRA is a public nonprofit Community Action Agency created by the Hinds County Board of Supervisors. It is part of a state and national coalition of Community Action Agencies whose goal is to eradicate poverty by systematically identifying community needs and strategically developing solutions that yield high outcomes. HCHRA is managed by a President and Chief Executive Officer who is responsible to a volunteer Board of Directors. For more information on HCHRA and its programs and services, visit www.hchra.org. 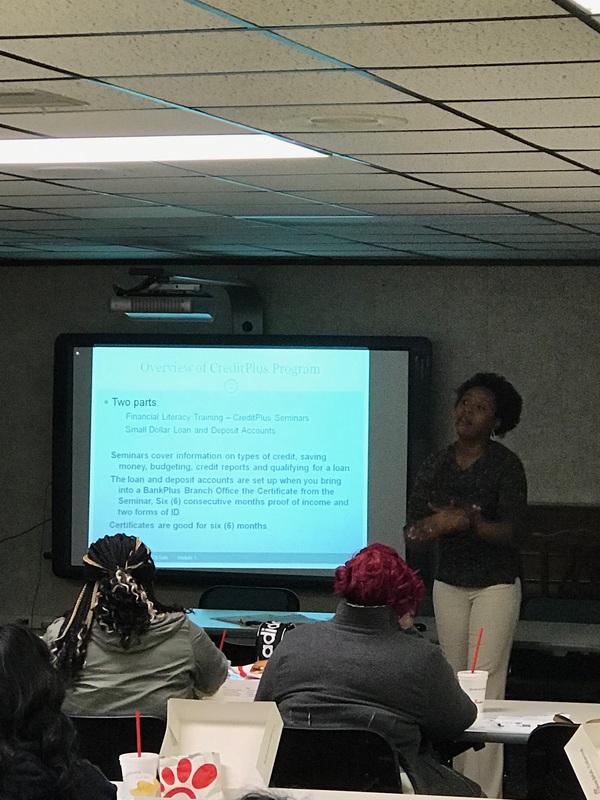 Hinds County Human Resource Agency (HCHRA) completed Phase IV Training on January 12, 2019, where Head Start Parent Committee Officers, the Head Start the Policy Council, and members of the HCHRA Board of Directors participated in a day full of sessions to learn more about Head Start Program performance standards, ongoing monitoring of the program and continuous improvement. 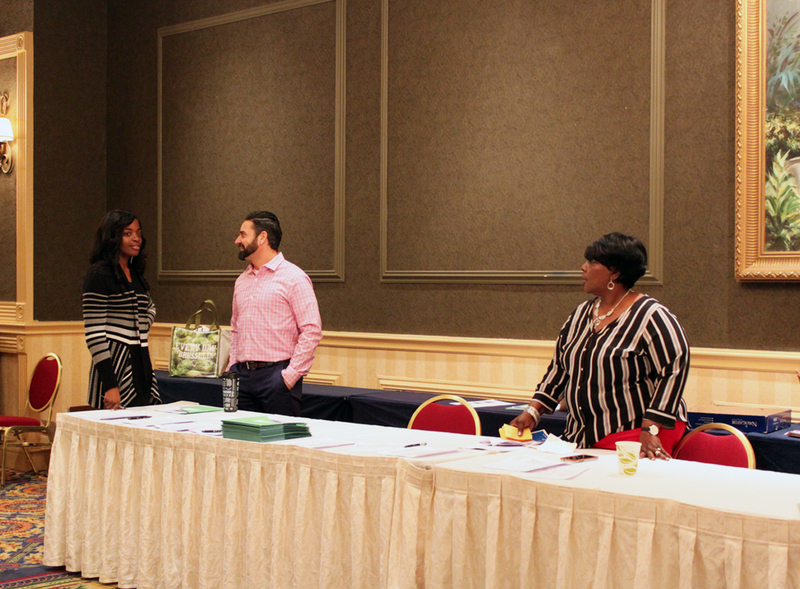 As indicated by its name, Phase Training is a series of training sessions provided to HCHRA’s governing bodies to make sure that new and returning members understand program operations, their roles in governance, and how to effectively impact program outcomes. Training begins shortly after the start of the new school year once new Policy Council and Parent Committee members are seated, and the sessions are conducted throughout the school year to make sure there is proper ongoing monitoring through ongoing oversight and correction, which ultimately result in performance and progress towards meeting program goals. Phase I training was conducted in August of 2018 at the very beginning of the school year. It provided an overview of the Head Start program; rights, roles and responsibilities; conducting effective meetings; and the benefit of parental involvement. To ensure effective operations, Phase II Training was offered in October. 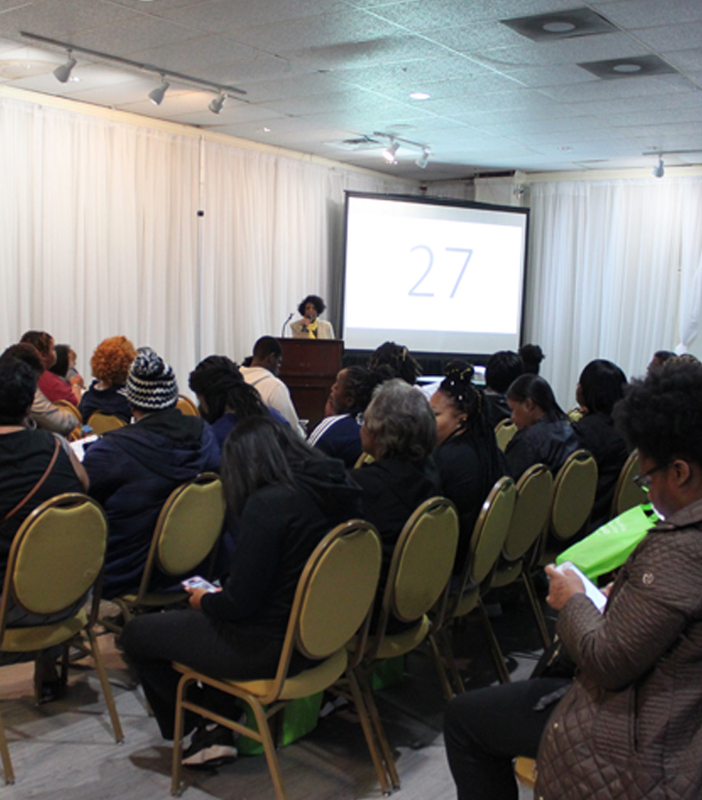 During this session, attendees focused the Head Start Program Performance Standards and how they related to the successful operation of each program component. Phase III Training, on Head Start Program Governance, was held over the course of three days from November 30 to December 2, 2018, and provided an in depth look at the responsibilities that members of the governing bodies hold for overseeing the Head Start program. It highlighted the importance of the governing body’s full participation in the development, planning, implementation and evaluation of the Head Start program, and also covered how data is to be used to identify program strengths and needs, develop and implement plans that address program needs, and continually evaluate compliance with program performance standards to ensure continuous improvement. 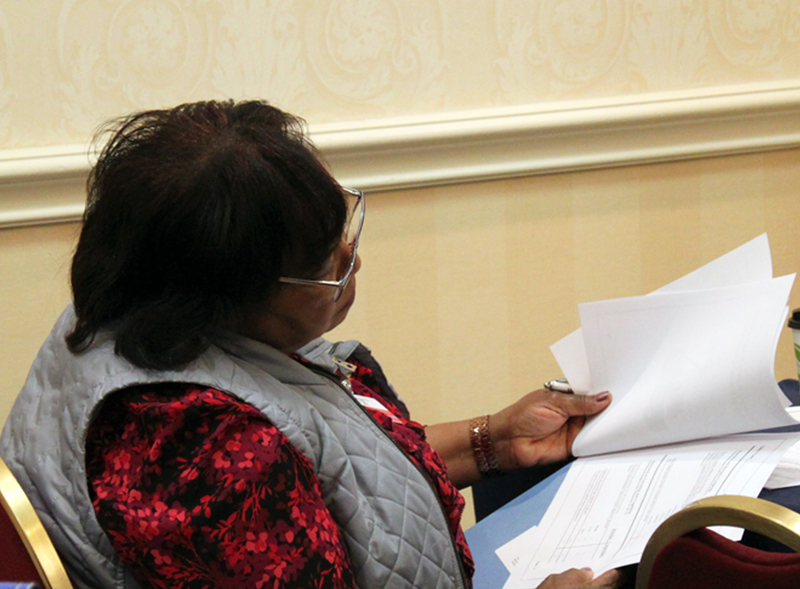 HCHRA’s Phase Training is built around the idea of “maximum feasible participation.” It is the belief that low-income citizens should take an active role in designing and developing programs that benefit them because they can determine what helps them the most. As called for by Head Start legislation, HCHRA understands that the participation of our Head Start parents in governance gives our families a strong voice. 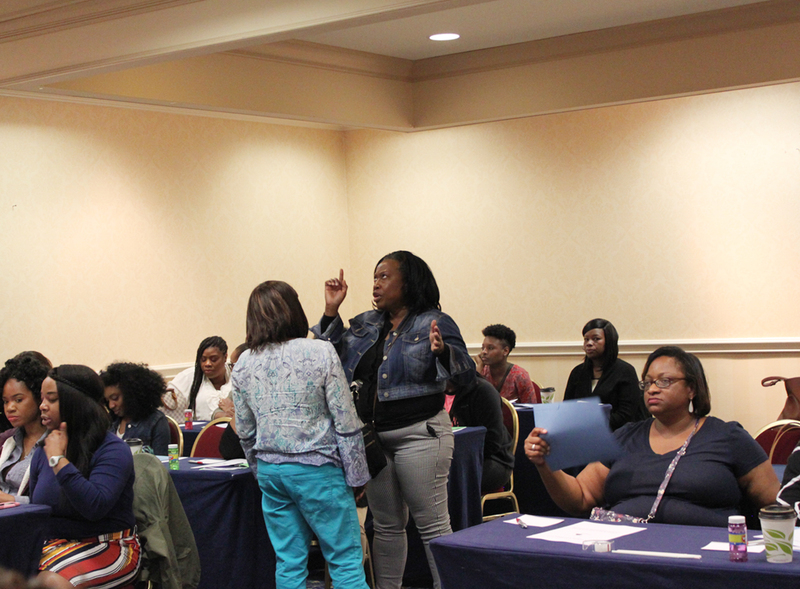 “HCHRA uses these training sessions to not only mold parents into leaders, but to also empower them to be decision makers, and to learn empowerment strategies to become catalysts for community action efforts,” said Kenn Cockrell, president and CEO for HCHRA. HCHRA understands that in order to be successful, it is essential that the Head Start Program reflects the community as a whole and is very well versed on operations, governance, ongoing monitoring, and adherence to performance standards. HCHRA has a Board of Directors that shares responsibility for the delivery of high-quality Head Start services to children and families. The Policy Council is the policy making authority and is made up of Head Start parents elected by parents of children enrolled in each center and community representatives selected by the Board of Directors and approved by the elected parent representatives. 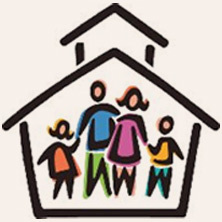 The Parent Committee is comprised exclusively of parents of children currently enrolled at each center. 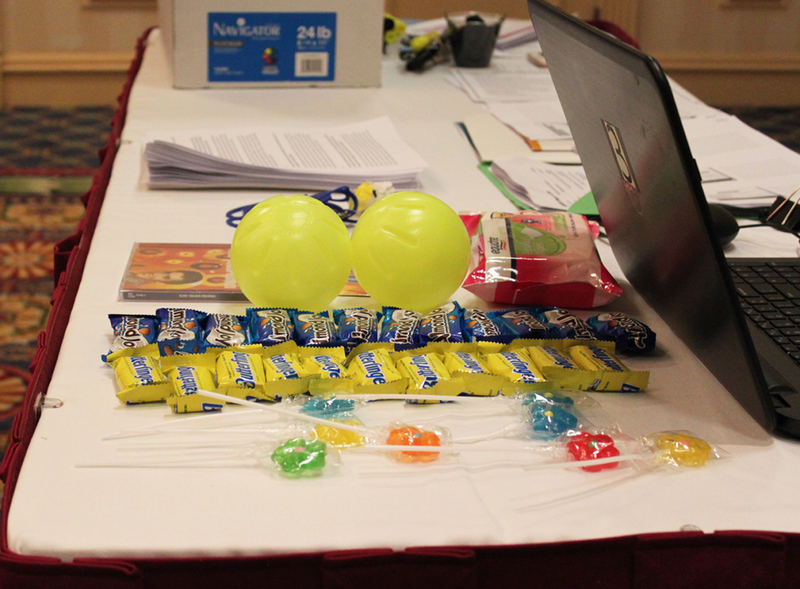 “We invest a lot of time and resources in providing training to our governing bodies. It is our goal to make sure they are well equipped to oversee our continuous improvement and success,” said Cockrell. 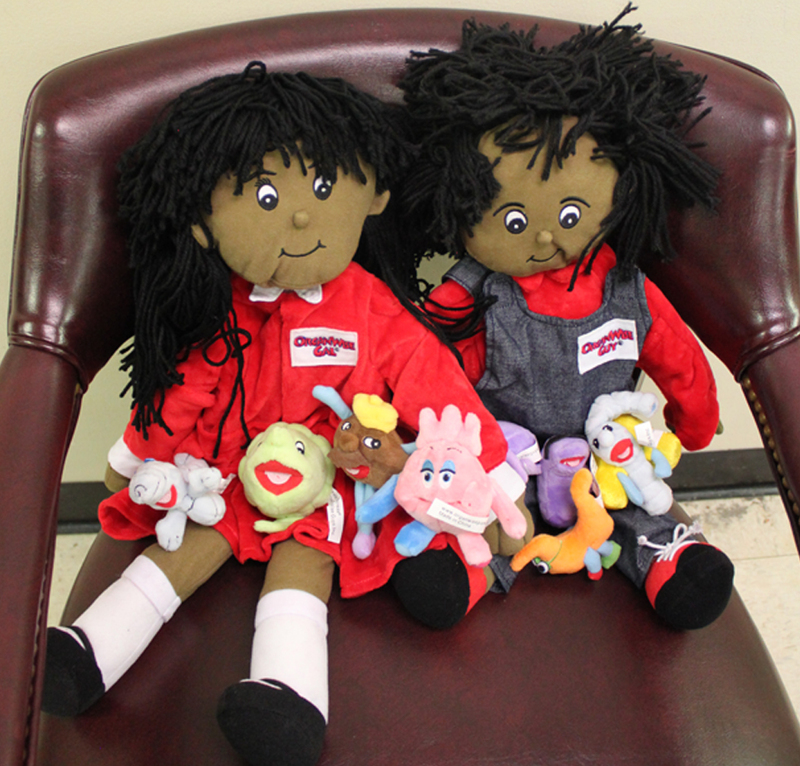 Hinds County Human Resource Agency’s Head Start program has teamed up with America’s number one nutrition education organization – The OrganWise Guys – to provide Head Start centers with impactful resources that will teach the students about the organs in their bodies and how to keep them healthy and working properly. HCHRA received a portion of a $1.14 million grant from W.K. 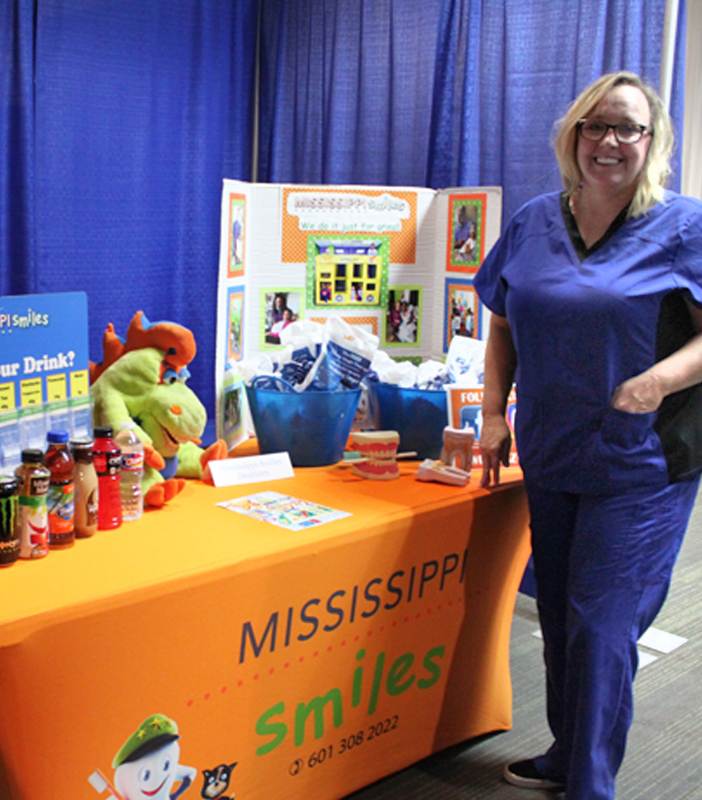 Kellogg Foundation awarded to the Mississippi Food Network to improve health equity and literacy in children ages 2-10 in various low-income communities of Jackson, East Biloxi and Sunflower County, that would effect change through practical application by using evidence-based programs and resources. 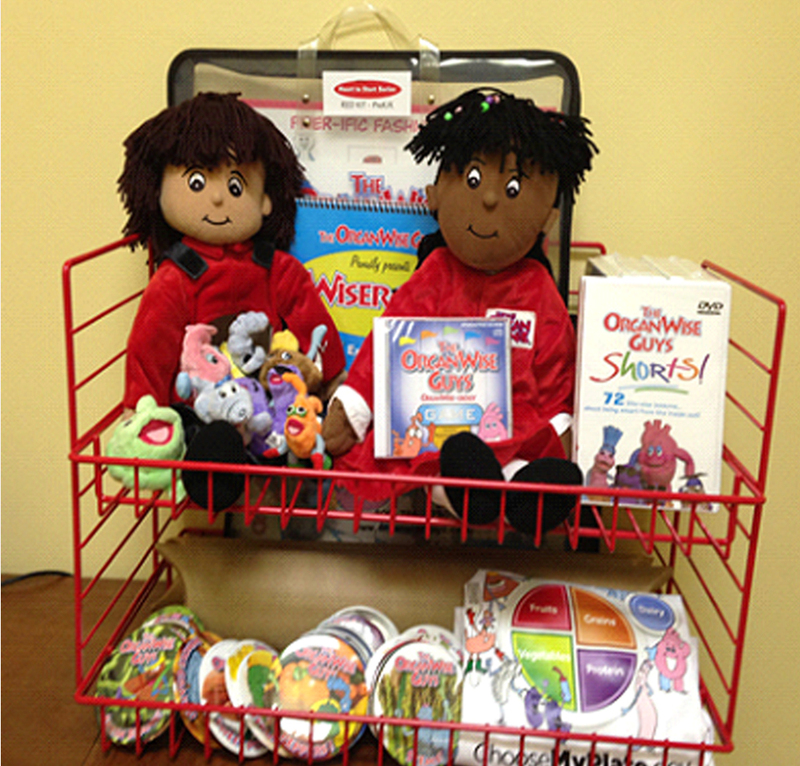 HCHRA used the unrestricted, non-federal grant funds to purchase Early Childhood Kits for each of its 16 Head Start centers. 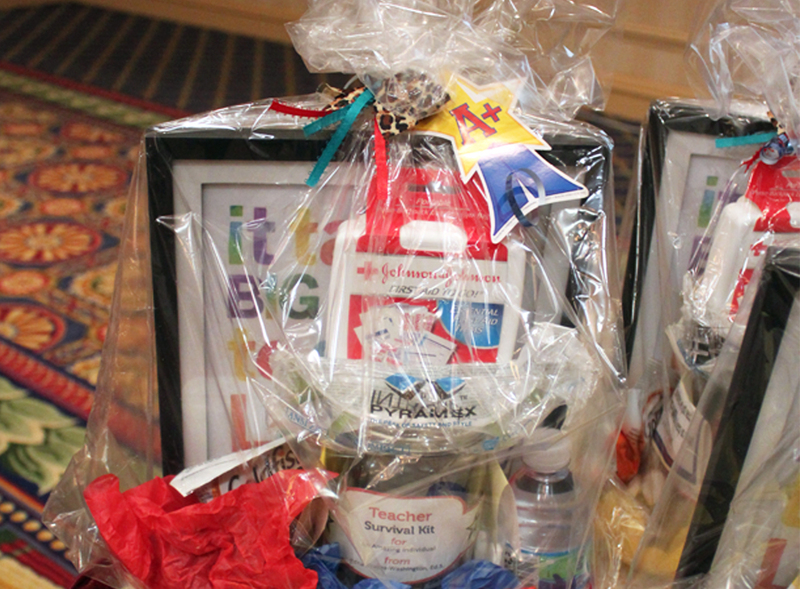 The age-appropriate kits are designed to be shared by the teachers, and they are re-usable. 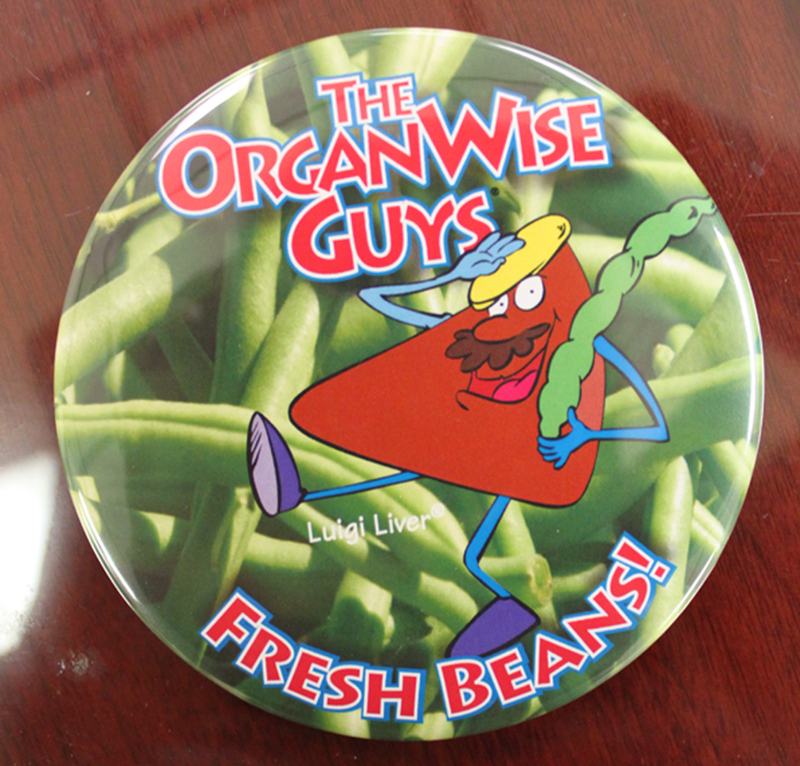 They include OrganWise Guy and Gal dolls, organ beanies, calendars, videos, posters, and access to the Foods of the Month website for monthly resources and downloadable activities. 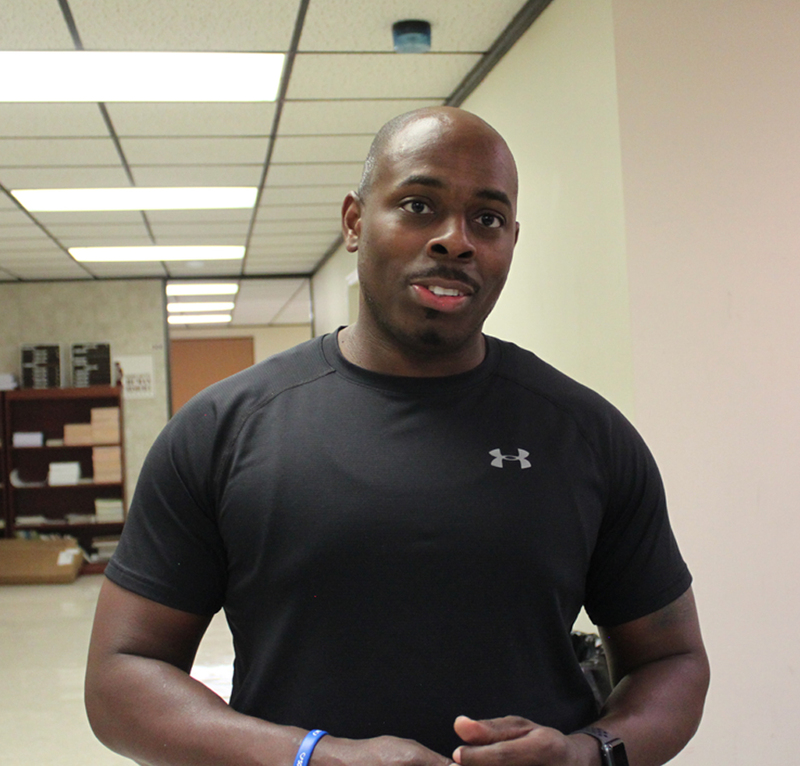 HCHRA Nutrition Services Specialist Alphonso Lee states, “The OrganWise Guys focuses on combating childhood obesity and helps kids to be healthy from the inside out. It’s an evidence-based program and has been proven to be an effective teaching tool.” Health Services Specialist Anupria Davenport agreed, “The program teaches children about the organs and their nutritional needs, how their organs work, how certain foods interact with the inside of their bodies, and how proper nutrition helps their bodies grow.” Director of Children’s Services Dr. LaTessa Long added, “Our center administrators and teachers have been trained on how to use the kits and implemented the program in the classrooms at the start of the 2018-19 school year. 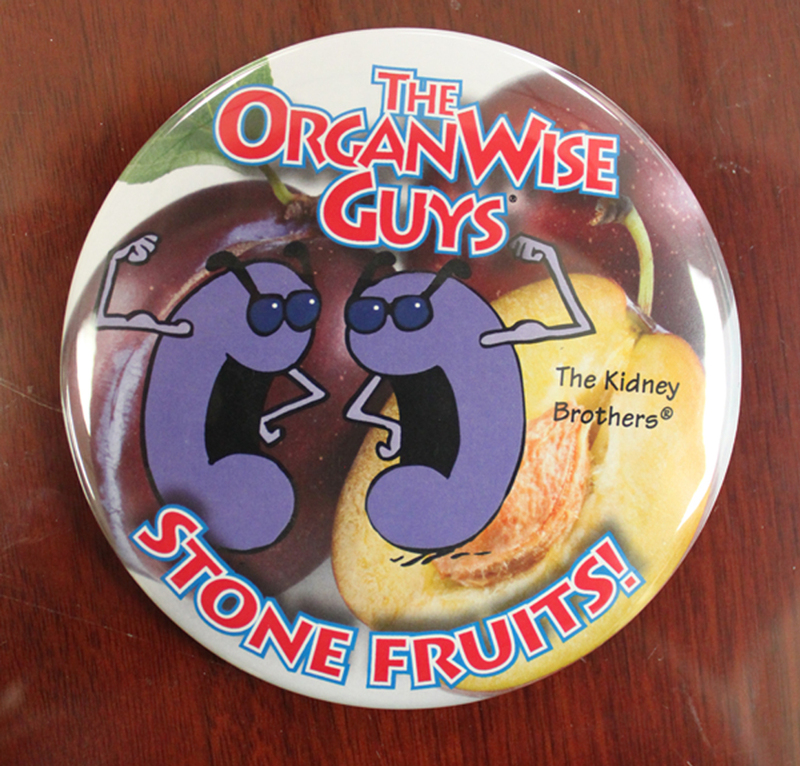 They are using it to help our kids learn more about the organs of the body in a fun, educational way, while also teaching them how to keep their bodies healthy. 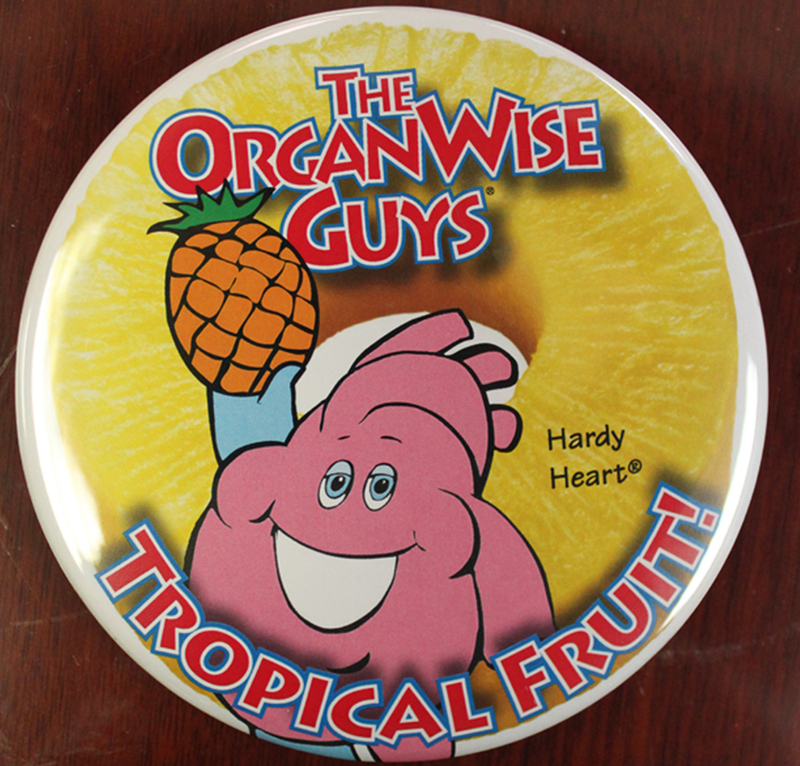 The OrganWise Guys were recommended by the Mississippi Department of Education through its Office of Child Nutrition as a great learning tool for students. We are grateful to have received a portion of the grant to serve our Head Start community.” To learn more about HCHRA and its Head Start programs and services, visit www.hchra.org/programs or call 601.923.3930. 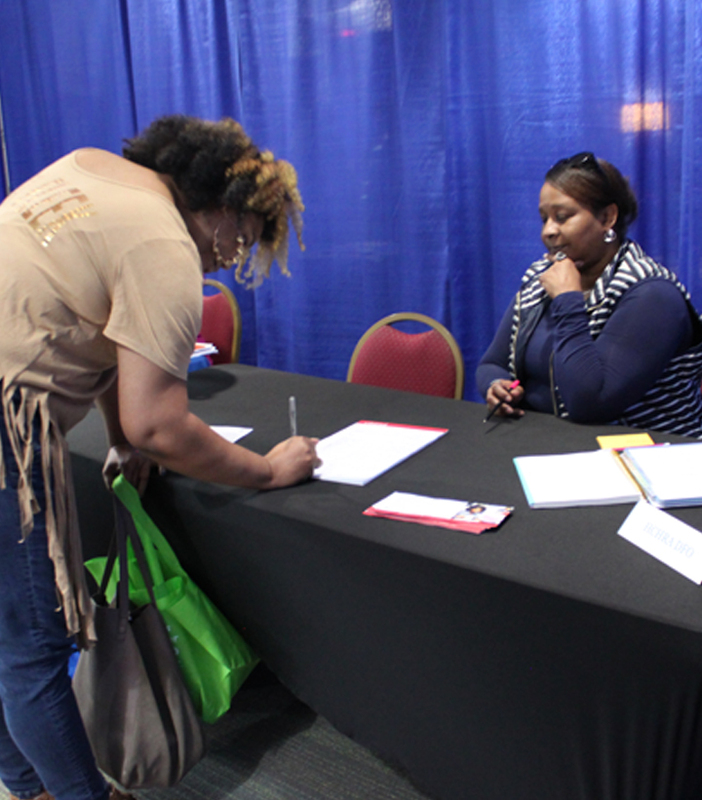 Hinds County Human Resource Agency (HCHRA) hosted Project SOAR – a massive community services, opportunities, assistance and resources fair – on Tuesday, January 8, 2019, at Fondren Hall in Jackson, Mississippi. 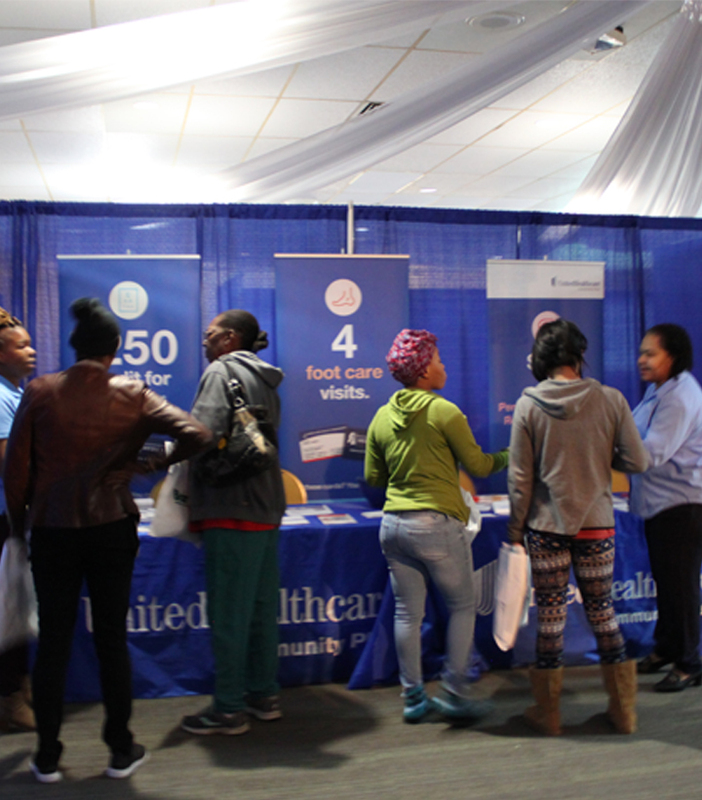 More than 300 people attended the fair and received a wealth of information on education, finance, health, social and legal services from speakers and exhibitors. 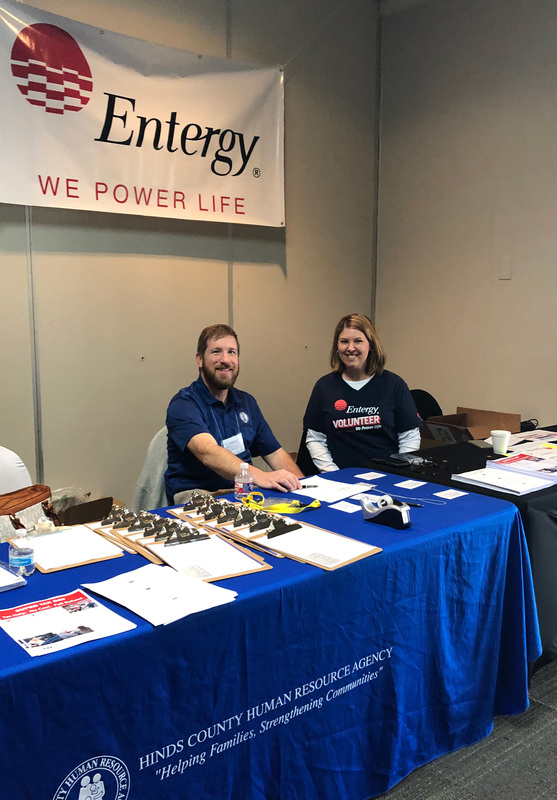 HCHRA organized Project SOAR to promote awareness about the Low-Income Home Energy Assistance Program (LIHEAP) and make it readily available to anyone in need who met the qualifications for the program. LIHEAP is a federal grant that offers assistance to help low-income families pay their energy bills for heating or cooling their homes, and offers additional help in cases of energy crisis, such as utility shutoffs for households in immediate danger of being without heating or cooling. LIHEAP is funded by the U. S. Department of Health and Human Services and is awarded to HCHRA by the Mississippi Department of Human Services. 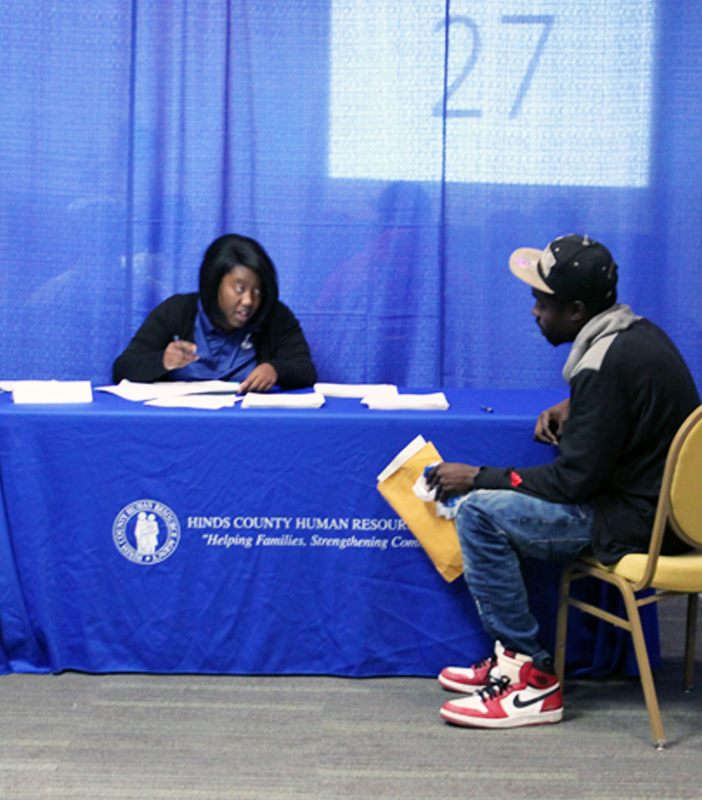 HCHRA administers LIHEAP for the entire Hinds county area. The assistance provided through LIHEAP allows families to use their limited income to address other household needs and create greater stability in the home. HCHRA has seen a tremendous need for LIHEAP. The need is so great, in fact, they exhausted all of the 2018 funds months before the year ended, which was one of the primary reasons for holding Project SOAR so early in the year. “Without being able to turn to HCHRA for help over the last several months, we knew that a lot of families were facing some pretty dire situations,” said HCHRA President and CEO Kenn Cockrell. 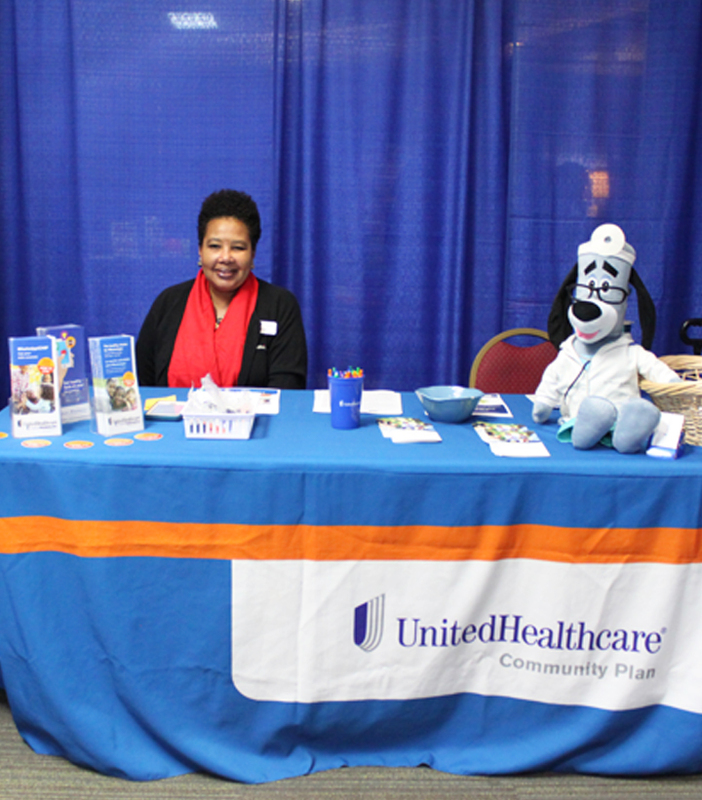 “We’re talking senior citizens and people with disabilities who are on a small fixed income and are not able to work. We’re also talking about people who actually go to work every day, but still don’t earn enough to cover basic living expenses. We wanted to host Project SOAR as soon as we received our 2019 LIHEAP allocation in hopes of providing some immediate relief.” Normally, Hinds customers are required to schedule an appointment at one of HCHRA’s service sites to receive assistance. At Project SOAR, no appointment was required. 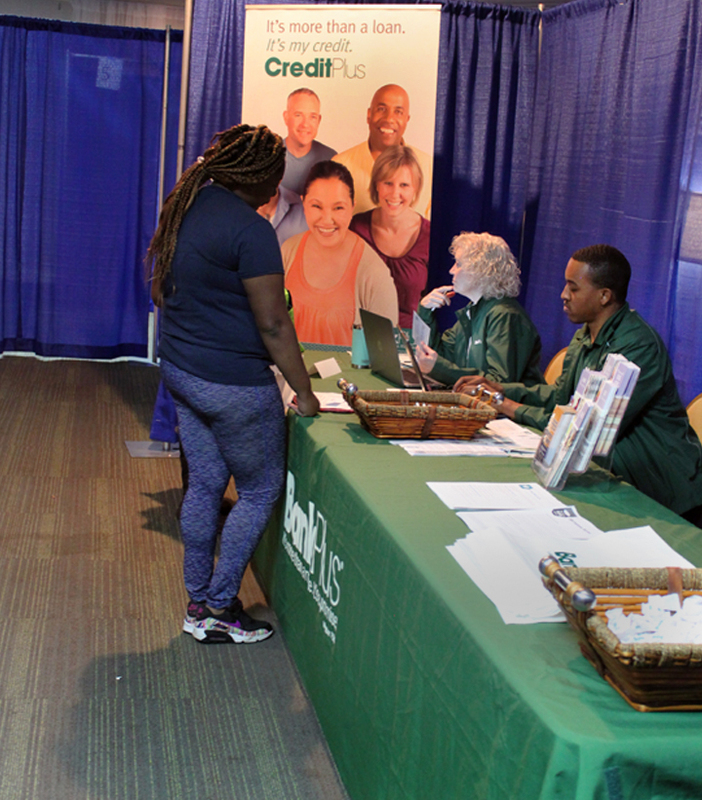 Customers were seen on a first-come, first-served basis and HCHRA was able to meet with approximately 200 Hinds County residents on the spot to determine eligibility and provide assistance to anyone who qualified. In addition to providing utility payment assistance at Project SOAR, HCHRA connected families with other valuable resources to help create some relief from the financial stress that many low-income families experience. Health screenings were provided by St. Dominic’s. 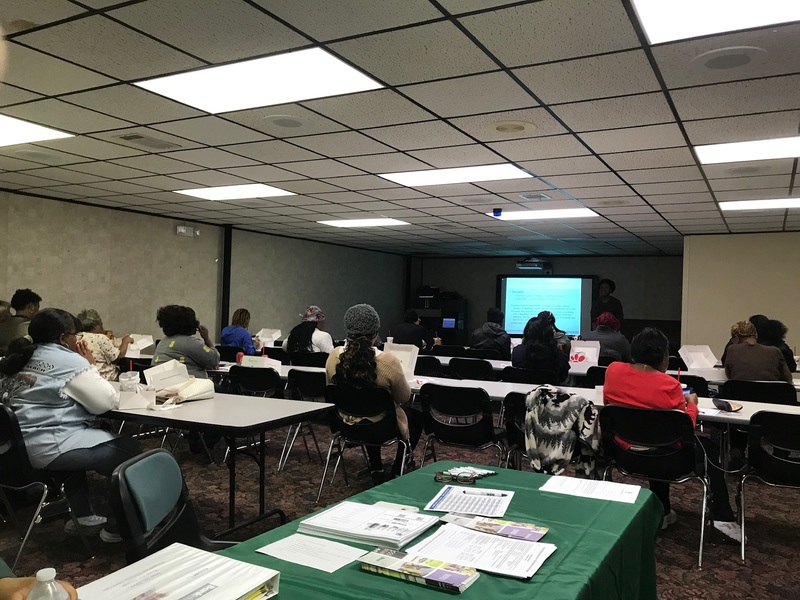 More than 73 people signed up for the CreditPlus wealth building and financial management program with BankPlus, and a myriad of other information and services were provided by UnitedHealthcare, Entergy, Mississippi Center for Legal Services Corporation, Mississippi Behavioral Health Services, Ava Family Services, Feeding the Gulf Coast, and Mississippi Smiles. 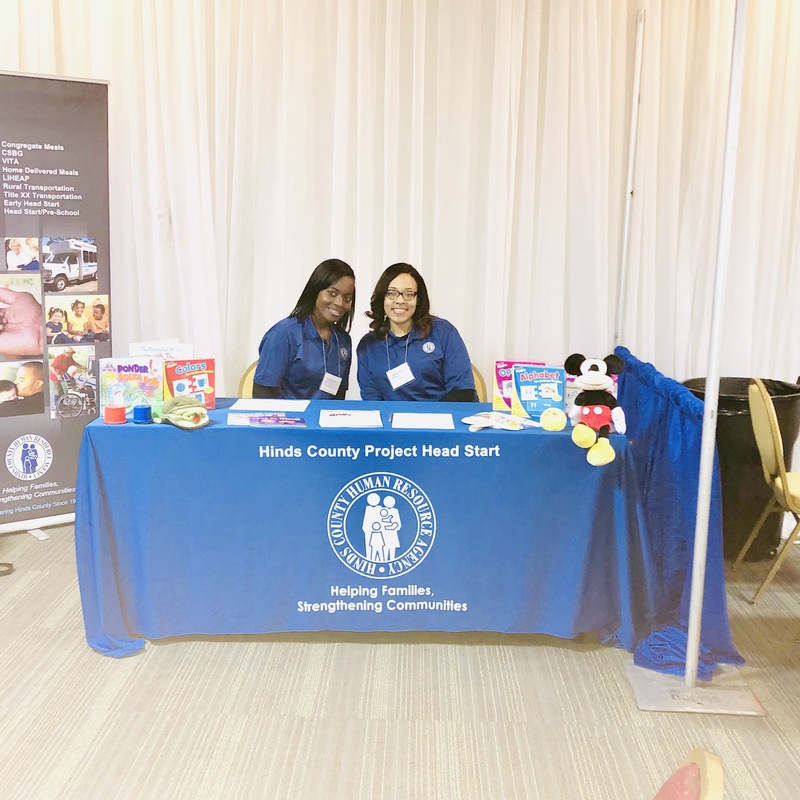 HCHRA also had staff on hand to provide information about the Head Start education program and the disabilities services it provides to preschool children, infants and toddler, the senior programs the agency offers, adult education, family and employment opportunities. 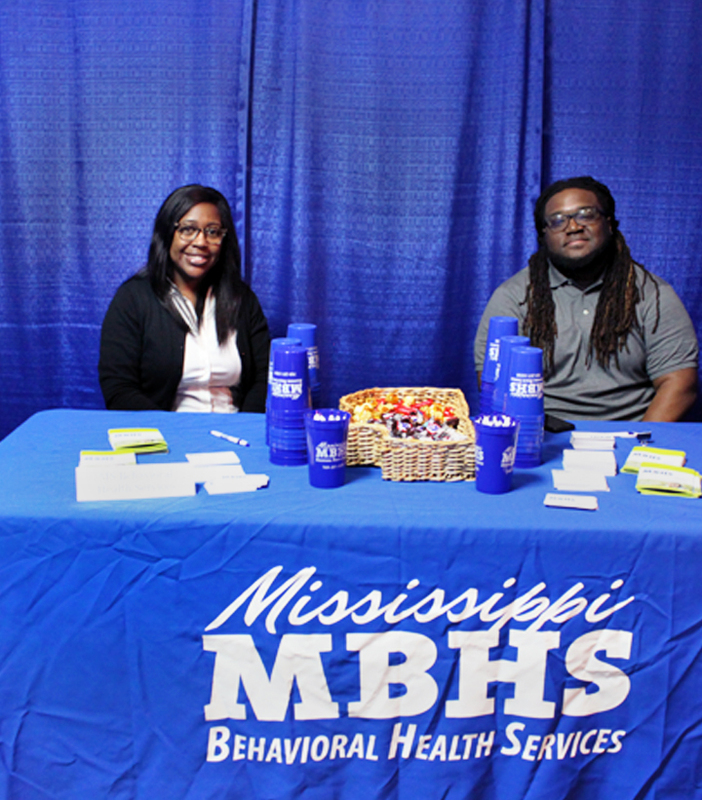 If you are in need of assistance but you were unable to attend Project SOAR, call HCHRA at (601) 962-5935 to schedule an appointment with a family opportunities advisor to discuss available opportunities.